Celebrity Chef Patrick Wiese brings a new twist on comfort food to the streets of the GTA. Previous competitor on Top Chef Canada season 1, Chef Wieseâ€™s love and passion for food will be out there for all to taste. Bringing a fun culinary experience no one has ever seen. Sorry, we don't know when Twisted Kitchen will be open next. We last saw them on September 27, 2015 at Flat Rock Cellars - 2727 7 Avenue, Lincoln, ON L0R 1S0. Check back soon — as soon as they post their schedule it will show up on this page. 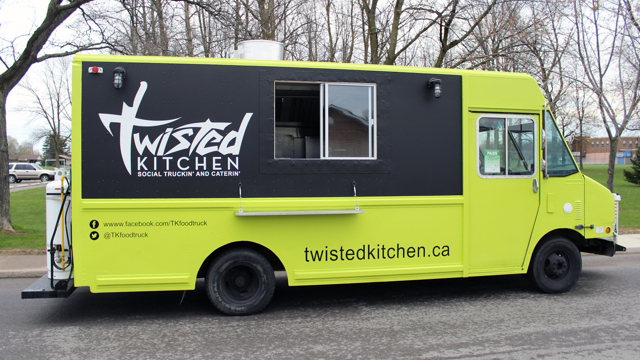 Do you own Twisted Kitchen? Sign in to post your schedule.